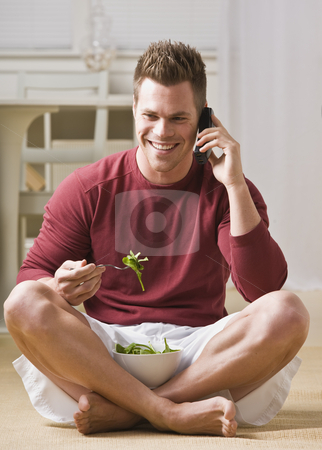 A man is talking on a cell phone and eating a salad. He is smiling and looking away from the camera. Vertically framed shot.